Whisk away your special someone to The St. Regis Bali Resort with a bright midday brunch at Boneka or an amorous dinner in the evening at Kayuputi. 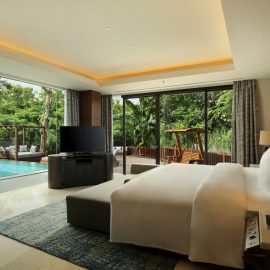 For those who are keen to dine at The St. Regis Bali Resort in Nusa Dua this Valentine’s Day, the resort has no shortage of choices for a romantic meal. 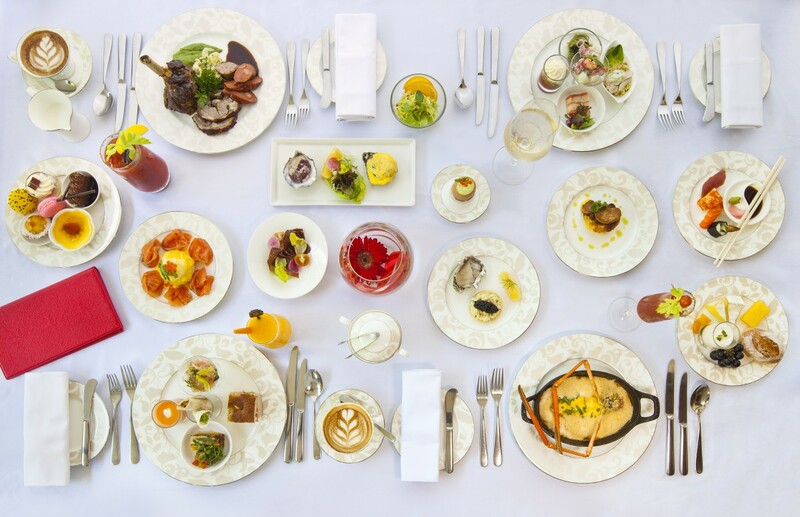 The two options on the resort are equally enchanting; depending on what time of day you and your special someone decide to celebrate, there is a brunch and dinner option. Early celebrators can attend a at brunch at Boneka. Brunch commences at 11AM with your choice of a complimentary cocktail, with a choice being Boneka’s signature Bloody Mary made at the King Cole Bar with meals then served at 12PM. Known for its refined taste and flavor, Boneka guests can experience the holy trinity of brunch at the same time: the buffet, a la carte options, and good vibes facilitated by entertainment from the restaurant’s jazz trio. Included for the beautiful lady is a rose for the occasion. The dinner option is at no other than Kayuputi. The exquisite 6-course degustation is handcrafted by award winning executive chef Agung Gede who is well-known for utilizing only the freshest and highest quality produce. The feast is taken to the next level with an exquisite wine-tasting handpicked by Chief Sommelier Jeroen Jochems. 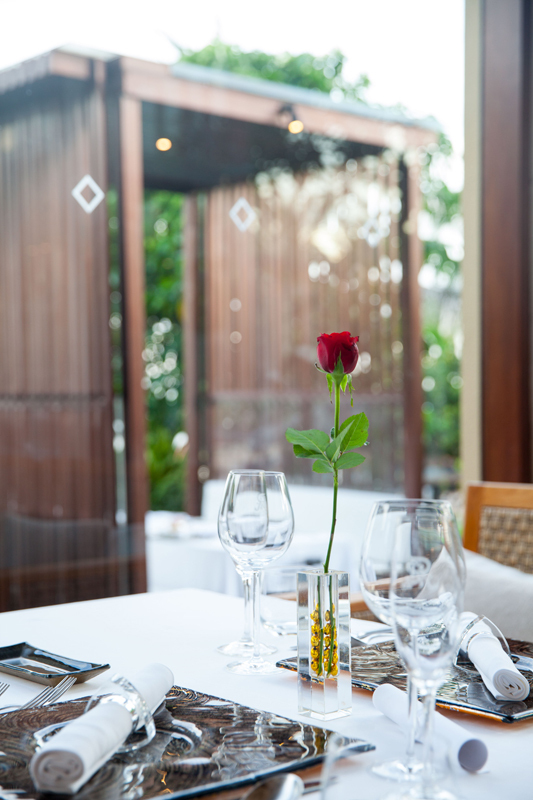 Come dine on this special day at The St. Regis Bali resort whether it be in the day or in the evening! Brunch at Boneka starts at IDR 780,000++ including a glass of champagne. For brunch reservations at Boneka call +623613006782 or email boneka.bali@stregis.com. Dinner reservations at Kayuputi is priced at IDR 2,299,000++ including a glass of champagne. For more informations and bookings, call +623613006786 or email kayuputi.bali@stregis.com.